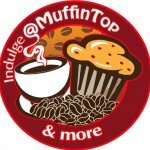 Muffin Top Cafe, a little Cafe with a Big Heart. Home of the famous Guiness Frappuccino! We offer full Catering Services to Small or Large Events. Signature Dishes : A variety of Frappes, Wraps, Paninis, Sandwiches and Fresh Fruit Smoothie Blends.